Who as a kid didn't wrap a towel around their neck and run round the house as Superman? Heck who can resist the opportunity to do that now when the house is empty? Playing into that universal moment of make believe, and pushing a more blue collar Clark Kent then ever before, the official teaser for June 2013's Man Of Steel has made it's way online, prepped and ready for your non-x-ray vision just below. they showed this trailer at the Batman screening last weekend. i like the way it was filmed. but it doesn't really show you enough to help determine if the movie is gonna be any good. i remember the trailer for the last Superman movie being really good same as the movie poster that went with it. but as you know the movie it's self didn't quite live up to the hype. You are right Dave. 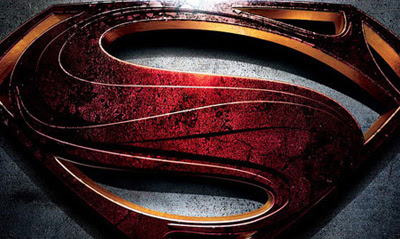 If there's one thing the last super-flick got right it was the trailer. Still this is pretty decent. Would've killed to see the longer Comic Con version properly though? did you hear about Christian Bale visiting the Colorado shooting victims in the hospital.